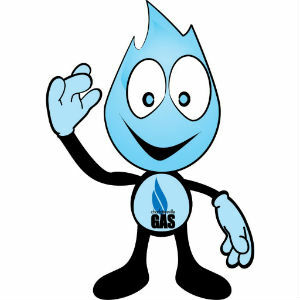 May 22nd marks the 10th birthday of Flicker the Flame, Charlottesville’s natural gas safety mascot. To celebrate 10 years of accomplishments, Charlottesville Gas will be hosting a birthday party at the Virginia Discovery Museum and inviting fans to celebrate. Flicker was created in-house 10 years ago as part of a comprehensive gas safety program to help educate the public on how to recognize gas leaks and how to dig carefully. Since the program’s start, Charlottesville Gas has seen a 105% increase in residents recognizing the smell of natural gas and a 75% reduction in gas line damage caused by third party excavators. The Flicker program has evolved over the years with the addition of a catchy jingle, television and radio spots on popular channels, internet campaigns, UVA athletic game sponsorships and summer camp sessions. The program has received numerous marketing awards from 3CMA, APGA, SGA, SCC and the local chapter of AMA, and Flicker became officially trademarked in 2016. To celebrate Flicker’s 10 years of accomplishments, a birthday party will be taking place at the Virginia Discovery Museum on Monday, May 22nd. The sold-out event will run from 5:30 p.m. to 7 p.m. and bring together families in the community that support Flicker and the program’s message.